C language Tutorial with programming approach for beginners and professionals, helps you to understand the C language tutorial easily. Our C tutorial explains each topic with programs. The C Language is developed for creating system applications that directly interact with the hardware devices such as drivers, kernels, etc. C language is considered as the mother language of all the modern programming languages because most of the compilers, JVMs, Kernels, etc. 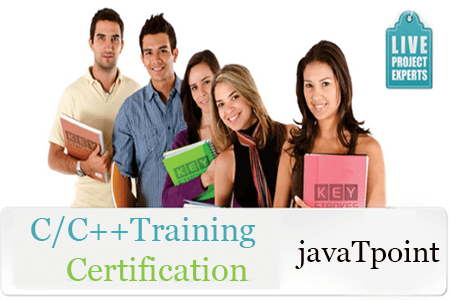 are written in C language, and most of the programming languages follow C syntax, for example, C++, Java, C#, etc. It provides the core concepts like the array, strings, functions, file handling, etc. that are being used in many languages like C++, Java, C#, etc. A system programming language is used to create system software. C language is a system programming language because it can be used to do low-level programming (for example driver and kernel). It is generally used to create hardware devices, OS, drivers, kernels, etc. For example, Linux kernel is written in C.
It can't be used for internet programming like Java, .Net, PHP, etc. A procedure is known as a function, method, routine, subroutine, etc. A procedural language specifies a series of steps for the program to solve the problem. A procedural language breaks the program into functions, data structures, etc. A structured programming language is a subset of the procedural language. Structure means to break a program into parts or blocks so that it may be easy to understand. In the C language, we break the program into parts using functions. It makes the program easier to understand and modify. C is considered as a middle-level language because it supports the feature of both low-level and high-level languages. C language program is converted into assembly code, it supports pointer arithmetic (low-level), but it is machine independent (a feature of high-level). A Low-level language is specific to one machine, i.e., machine dependent. It is machine dependent, fast to run. But it is not easy to understand. A High-Level language is not specific to one machine, i.e., machine independent. It is easy to understand. In this tutorial, all C programs are given with C compiler so that you can quickly change the C program code. A detailed description of above program is given in next chapters. Before learning C Programming, you must have the basic knowledge of Computer Fundamental. Our C Programming tutorial is designed to help beginners and professionals. We assure that you will not find any mistake in this C Language Tutorial. But if there is any mistake, please post the problem in the contact form.